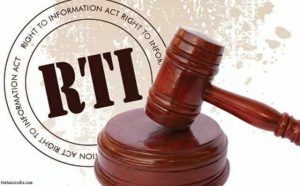 The Right to Information Act, 2005 (22 of 2005) has been enacted by the Parliament and has come into force from 15 june, 2005. This Act provides for right to information for citizens to secure access to information under the control of public authorities in order to promote transparency and accountability in the working of every public authority. All Universities and Colleges established by law made by parliament or by State Legislature or by notification by the appropriate government or owned, controlled or substantiallly financed directly or indirectly by funds provided by the Government shall come within the meaning of a Public Authority under this Act.